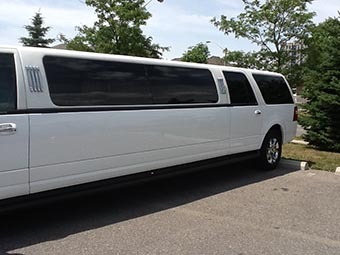 Oakville SUV Stretch Limo takes enormous pride in our fleet of vehicles simply because they are the backbone of our service. 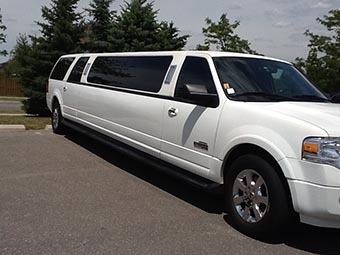 All of our SUV Stretch Limos XL are well-maintained and very clean to ensure you have the most reliable and enjoyable ride to/from the airport. In fact, many of our SUV Stretch Limos XL are nearly brand new! Now there are too many companies out there that skimp on this point, but you can rest assured that it won't happen at Oakville Airport Limo. 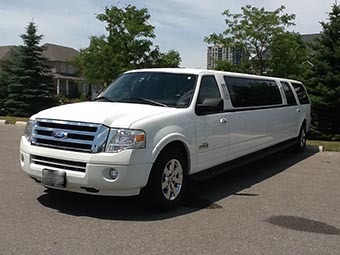 Whether it's just for a small group of people going to/from Oakville Airport or for a large group of people, selecting a SUV Stretch Limo XL is the right choice! 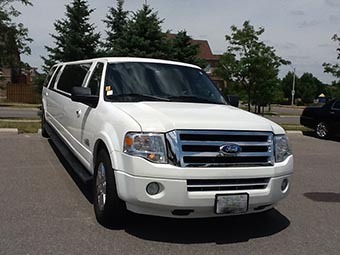 Suitable for almost any occasion, SUV Stretch Limo XL is classy and comfortable vehicle with plenty of luggage space. 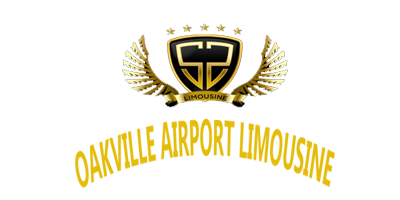 Our transportation rates are competitive and affordable. Use the rate finder below to look up a flat limo rate to/from your city to the following airports: Oakville Pearson Airport, Oakville City Centre Airport, Hamilton International Airport, Buffalo International Airport. If you need transpiration rates to other airports not listed here, or if you can't find your city rates - please email us your rates inquiry or call 1-905-483-4839 and we'll be more than happy to help you!